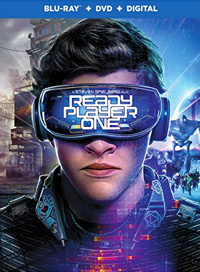 Synopsis: In the year 2045, people can escape their harsh reality in the OASIS, an immersive virtual world where you can go anywhere, do anything, be anyone-the only limits are your own imagination. OASIS creator James Halliday left his immense fortune and control of the Oasis to the winner of a contest designed to find a worthy heir. When unlikely hero Wade Watts conquers the first challenge of the reality-bending treasure hunt, he and his friends-known as the High Five-are hurled into a fantastical universe of discovery and danger to save the OASIS and their world. Source: Warner Bros.